Who is Dr John Zoidberg? Consider the following poetry written about the doctor for a glimpse at his most prominent traits. Who'd never let things go to waste. And then run away in great haste. 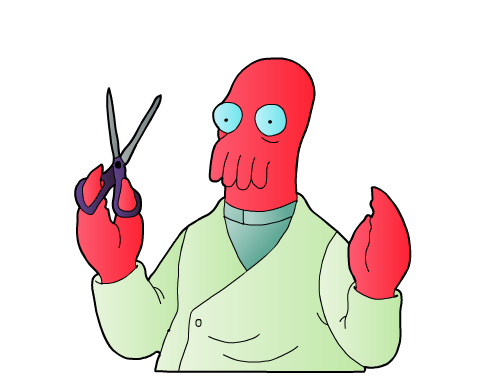 zoidberg.org provides file hosting services for good friends of the doctor. Well, at least the doctor believes that they are his friends. Talk to doctor@zoidberg.org if you have any questions. Alternatively, virtually all possible ways to reach the author are listed on his contact page. Do not talk to sales@zoidberg.org, webmaster@zoidberg.org or info@zoidberg.org; mails sent to these addresses are bit-bucketed automatically.